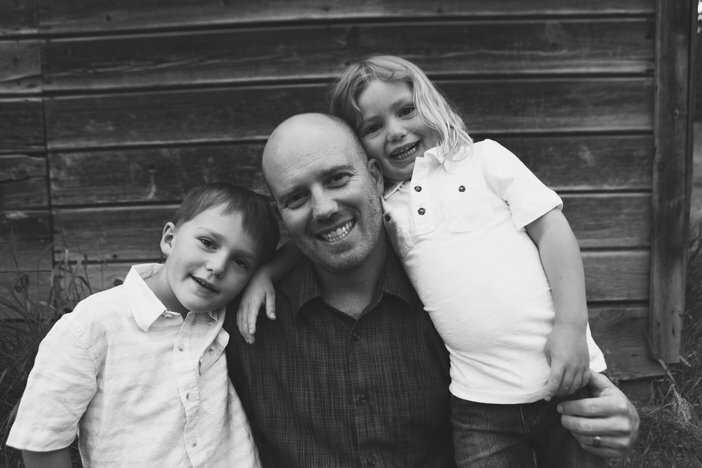 Dylan Darling was a respected and successful real estate broker in Central Oregon. Dylan was the founder of the website dylandarling.com, now known as BendRealEstateSearch.com. Dylan was known for his genuine personality and integrity. Dylan became a real estate broker in 2002 and over the next 15 years worked hard to grow his business and provide for his family. Dylan was a top-producing agent and received numerous awards through his brokerage over the years. Dylan was loved, and he will be greatly missed by his colleagues and clients, many of which he called friends. 2012 Leading Edge Society, 2013 President's Circle, 2014 Leading Edge Society, 2015 Chairman's Gold Circle, 2016 President's Circle. Top Producer for BHHSNW office 2009-2015. Dylan grew up in the small mountain town of McCall, Idaho. Dylan moved to Bend, OR after graduating from McCall-Donnelly High school in 1998. Dylan attended Central Oregon Community College until November of 2000 when his studies were interrupted by the devastating news that his mother had ALS, Amyotrophic Lateral Sclerosis also known as Lou Gehrig’s Disease. Dylan immediately moved to Lake Havasu, Arizona to be with her. Sedonia, Dylan’s then girlfriend, moved to Arizona a few months later. Dylan’s mother ultimately lost her battle against ALS, and they returned to Bend, OR in November of 2001. Dylan settled into the Bend lifestyle and began building his future as a respected community member, husband, and father. Dylan and Sedonia Darling were married in August of 2008. Dylan became the proud father of two boys. Dylan was in love with fatherhood and cherished every milestone. Dylan was the happiest when he was making unforgettable memories with his boys and family. Dylan believed in the motto “work hard, play hard” and he did just that. If he wasn’t at the office, during the winter months he could be found snowboarding at Mount Bachelor and during the summer soaking up the sun at one of Central Oregon’s many lakes. He also enjoyed fishing, hunting, golfing, dirt bikes, and all that the outdoors has to offer. Even though ALS is a familiar battle in Dylan’s family history, he thought the chances of developing ALS were extremely slim. Unfortunately, Dylan’s assumption was wrong, and he also received the devastating diagnosis of ALS in February of 2016. Dylan did not let ALS break his spirit though, and he was determined to fight back. Dylan did his own research, submerged himself into online ALS forums, and took numerous measures in the hope to slow or even stop the progression of this terminal disease. Dylan was even able to participate in phase 1 and part of phase 2 of a clinical trial for promising drug therapy. Dylan ultimately lost his battle against ALS on July 15, 2017. He left behind an unforgettable impression on so many for his strength, courage, and humility. Dylan will be forever loved, never forgotten, and greatly missed. Dylan cannot be replaced, but here at The Darling Real Estate Group we aim to provide the same genuine and personable real estate services with professional and knowledgable agents.